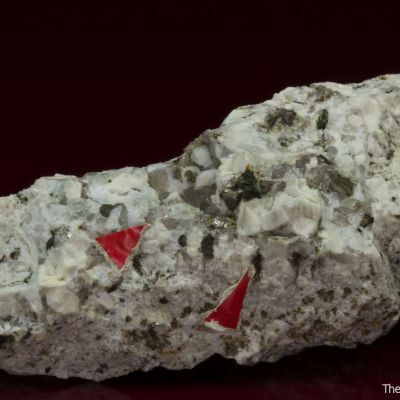 Three intergrown bertrandite crystals, the largest of which is doubly-terminated, form an aesthetic cluster. 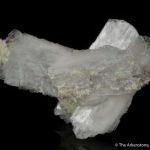 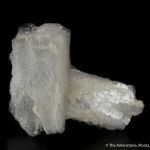 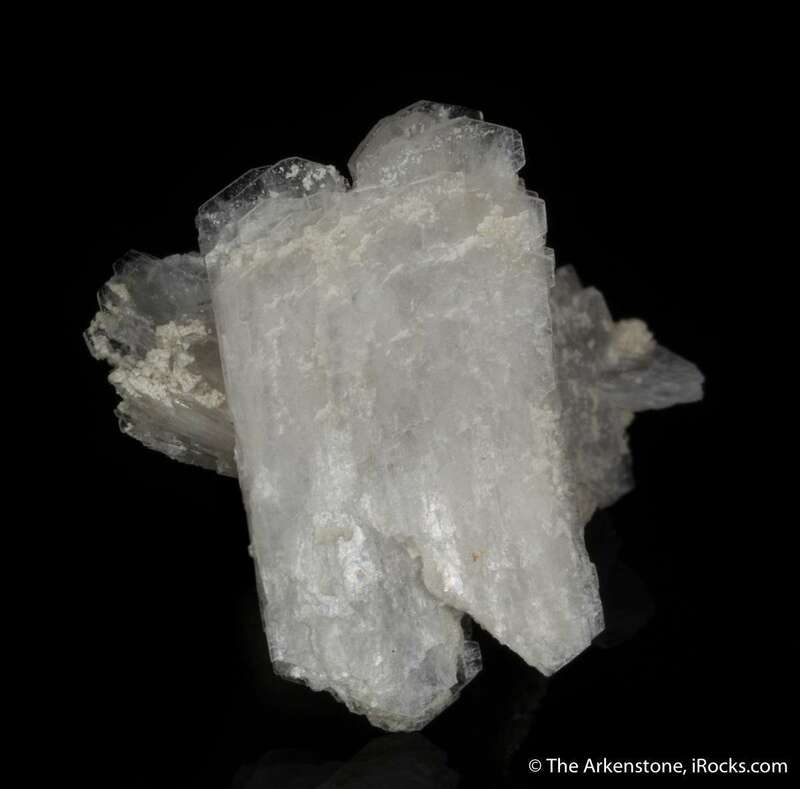 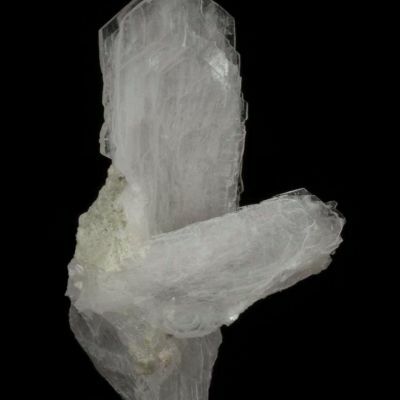 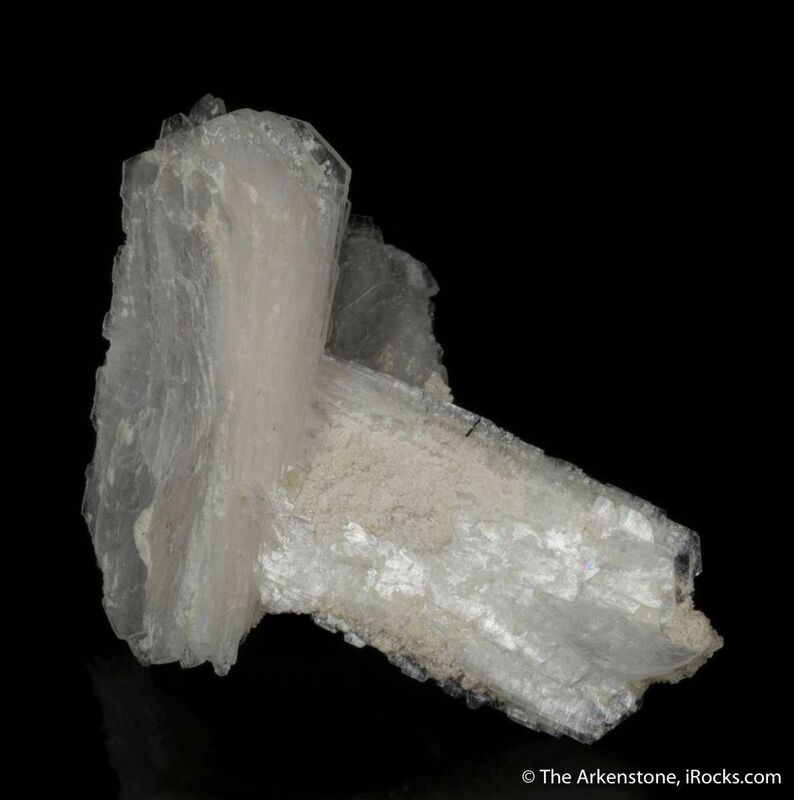 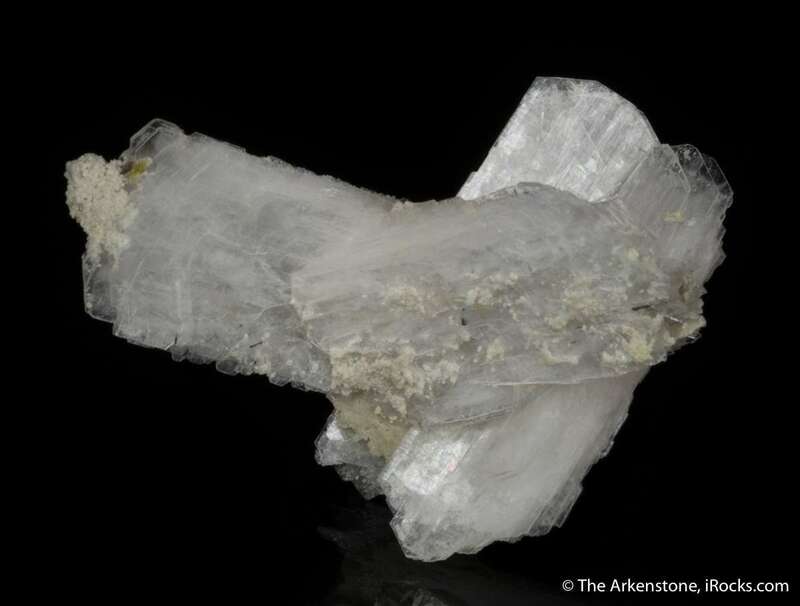 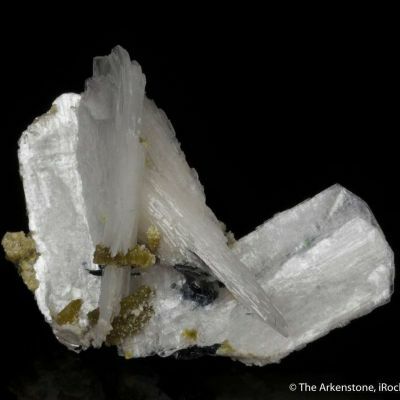 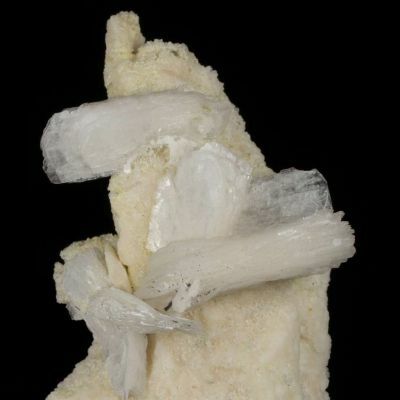 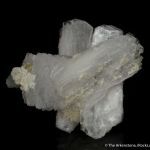 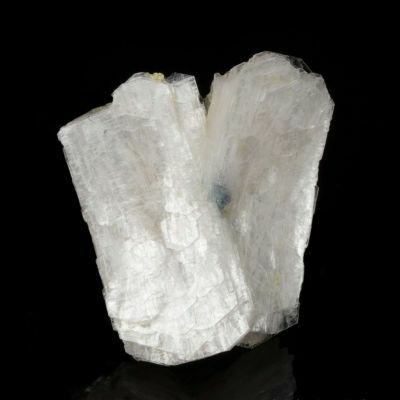 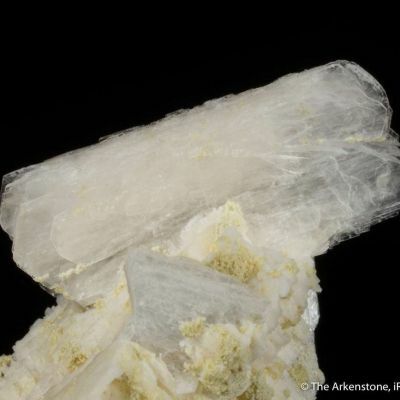 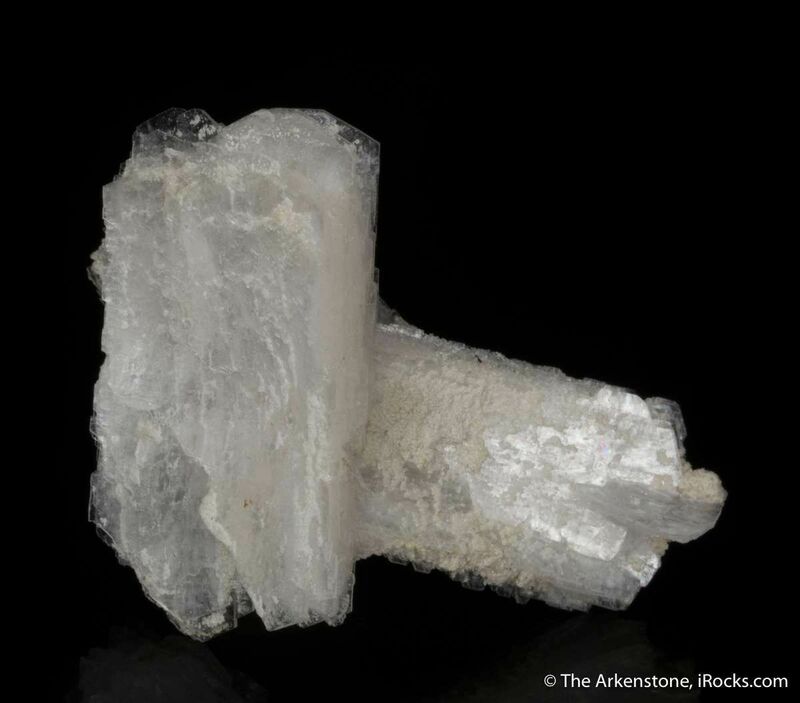 The crystals, to 3.5 cm in length, are tabular, pearlescent and translucent, with a snow-white color. 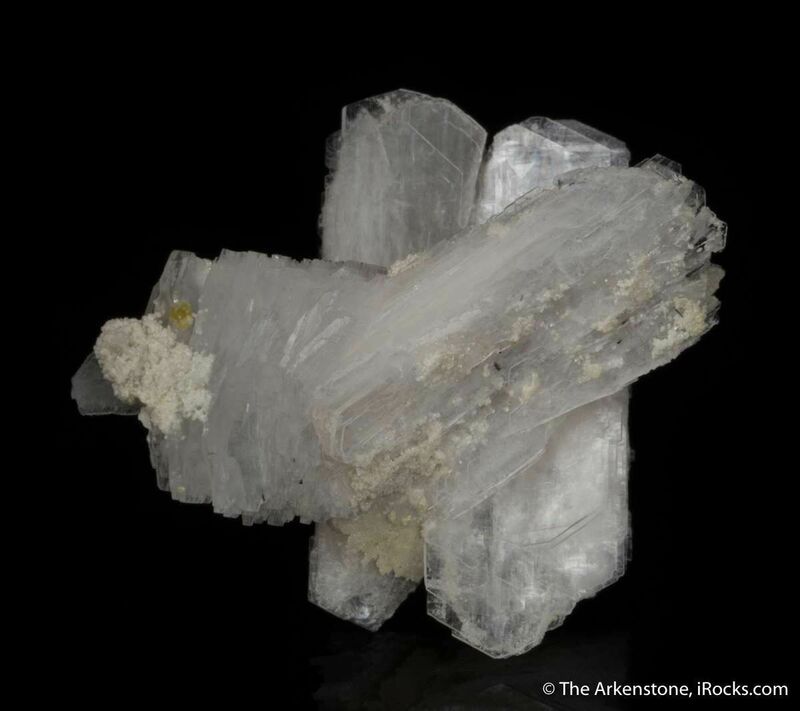 A gorgeous, complete-all-around cluster! 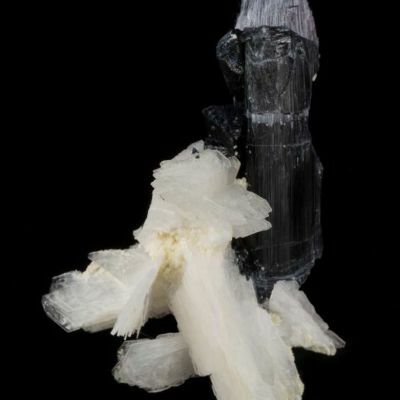 Such a piece is unprecedented based on previous finds.